Bhubaneswar : The Konark Festival, celebrating the rich heritage of the Sun Temple, concluded yesterday with traditional Odisi Dance performances by several popular artistes. Kumudini Lakhia and friends performed the spectacular Durga Stuti, a classical Odisi Dance performance dedicated to Godess Durga. The 5 day long festival left enchanted by rhythmic portrayals of tales from the epics and the Bhakti movement, through a series of performances by a troupe from Chhattisgarh led by Smt. Yasmin Singh, an accomplished Kathak practitioner of the Raigarh School. The first rendition in Kathak was The Divine Krushna depicting Lord Krishna’s Childhood activities adored by all the Gopis for Rasleela. The next recital was Shiv Om that described the culmination of the process of creation followed by Shakti Swaroopa, saluting Indian women power. The final presentation was Anubhuti, the Raigarh Kathak a unique form that emanated from the Raigarh Royal family. The second set of performances were of Odissi, led by Smt. Sharmila Biswas, a noted classical danseuse and Odissi choreographer. 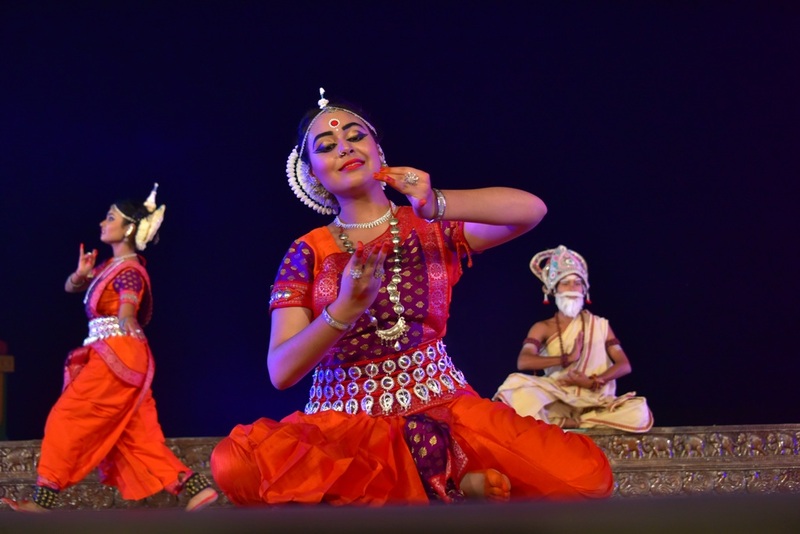 Odissi by the repertory Dancers of Odishi Vision and movement centre presented Darshan a four part production celebrating Lord Shiva creating Tandava and Parvati vreating Lasya. The second item was Kalashree depicting the beauty of Kalaa, the Art. followed by Shinagar and Ecstasy of celebration.